Space enthusiasts rejoice! At the beginning of last month NASA released a new (and free!) 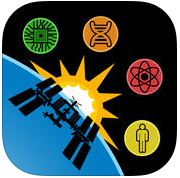 app that brings users aboard the International Space Station (ISS) with a particular focus on all of the research that is conducted aboard it. The app is divided into five sections: Experiments, Facilities, Benefits, Media, and Links. 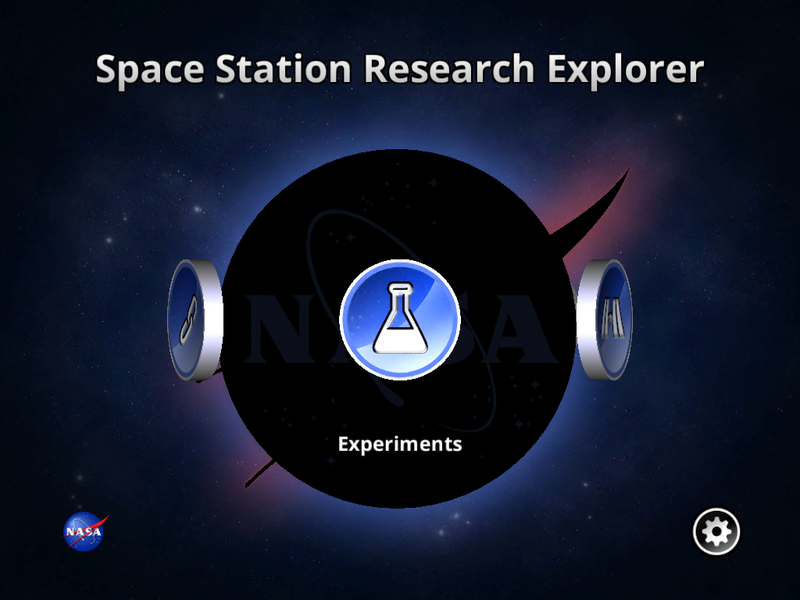 The Experiments section, which is the first one that users encounter when they open the app, includes information on the wide range of experiments that have been conducted by various parties on the ISS. The section is divided into six topical subsections: Biology and Biotechnology, Earth and Space Science, Educational Activities and Outreach, Human Research, Physical Science, and Technology Development and Demonstration. Each of those subsections is further subdivided into deeper areas of focus. This diversity of topics shows the breadth of the work done on the ISS and also means that there is something to capture the imagination of almost anyone with an interest in science. Once you choose a specific subsection within a field, you can read about all of the related experiments that have been conducted on the ISS through extensive descriptions, media such as photos and diagrams, and links to related content elsewhere online. You can also search through the experiments using an included search feature or sort them by sponsor or the expedition during which they were conducted. This section was probably my favorite of the entire app because it offers so much rich information about the research that is done on the ISS. However, this is not to take away from the other sections, including the Facilities section. This part of the app opens on an exterior picture of the space station and allows users to navigate to any of three sections of the space station. Once you have zoned in on a specific section, you see a detailed representation of that area of the ISS and you can pan and zoom using the standard pinch and swipe motions on your device. If you see something of interest, you can click on it to get a detailed image and brief description of what that section of the mechanics does. Next up is the Benefits section of the app which talks about how work on the ISS has been been translated to applications on Earth and the educational benefits in which the ISS has been instrumental. This section includes links out to further information on the NASA website, as well as brief descriptions within the app. 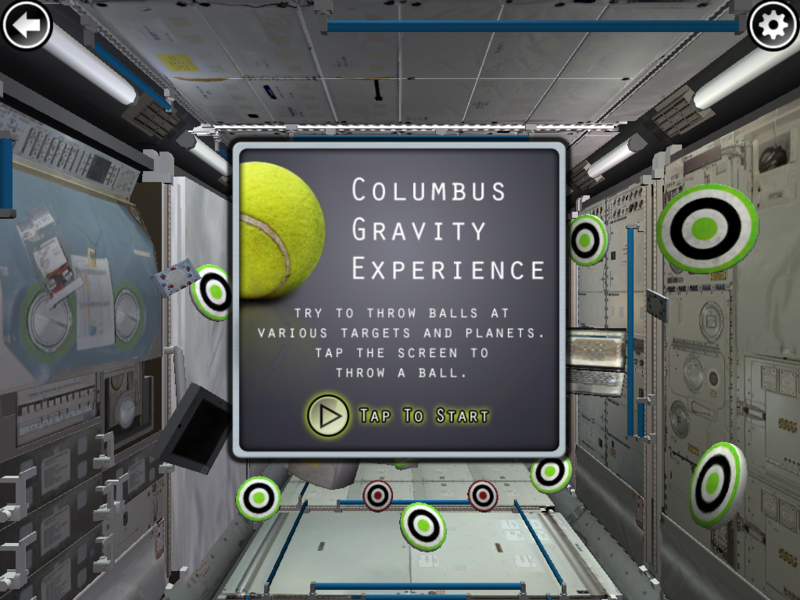 The Media section includes access to one game that can be played within the app and which demonstrates how G forces impact the trajectory of a ball thrown in the ISS. It also offers access to a variety of educational podcasts and videos. Finally, the Links section of the app connects users with related apps and web content from NASA and the ISS to help users move beyond what is included in the app itself. This app is a bit text heavy, but thought has clearly been put into the design, which is engaging, and the navigation, which is clear. As a nice bonus feature, while content is loading, users are presented with pictures of the ISS and information about both the facilities and the activities undertaken on the space station. This is a nice educational app for use in STEM programming or for teens who are already fascinated with the space program. YALSA Update: Research Agenda, Teen Space Guidelines, and More! 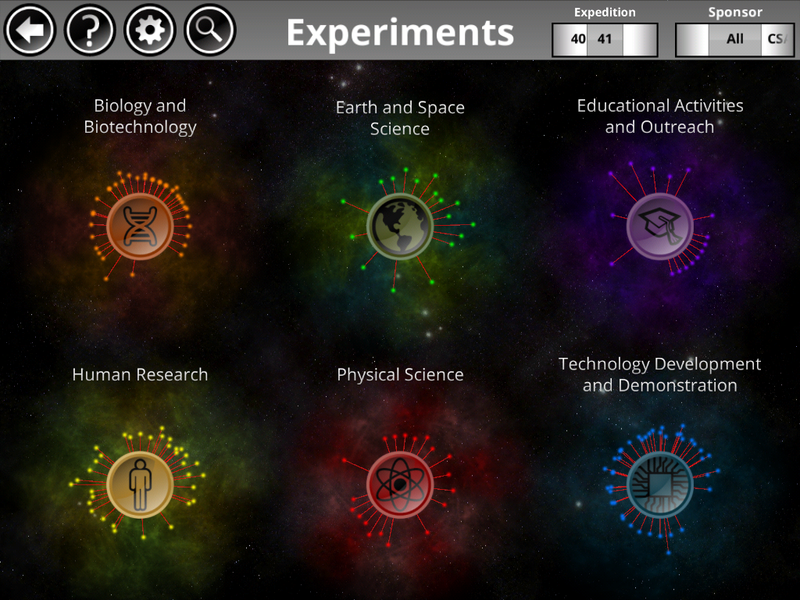 Tagged app of the week, apps for teens, Space Station Research Explorer.